Benefits of Winter Pruning | Goldberg & Rodler, Inc.
A lush, Goldberg & Rodler maintained landscape border full of flowering and evergreen shrubs, mixed with perennials and ornamental trees. Extend the life and health of your garden with proper pruning techniques from Goldberg & Rodler. Winter pruning is one technique we use to keep your landscape thriving. Pruning in winter makes it easier to see the structure of an ornamental tree or shrub so we can better address dead wood, crossing branches, dead and diseased limbs, and overall shape to keep the best natural form of your plants. Pruning will also allow for increased light penetration and air circulation, a must for any healthy plant to flourish, promoting new growth and hearty flowering. We have just three more weeks of winter left, let’s make them count! 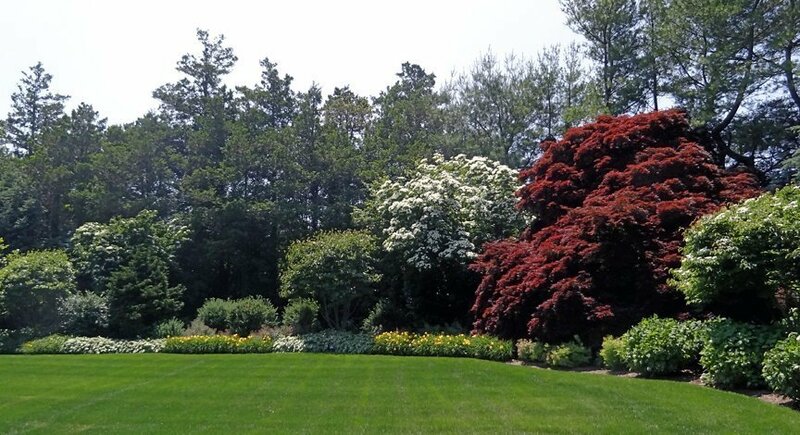 Call (631) 271-6460 to speak to our plant healthcare specialists and give your ornamental trees and shrubs a jump start this growing season.